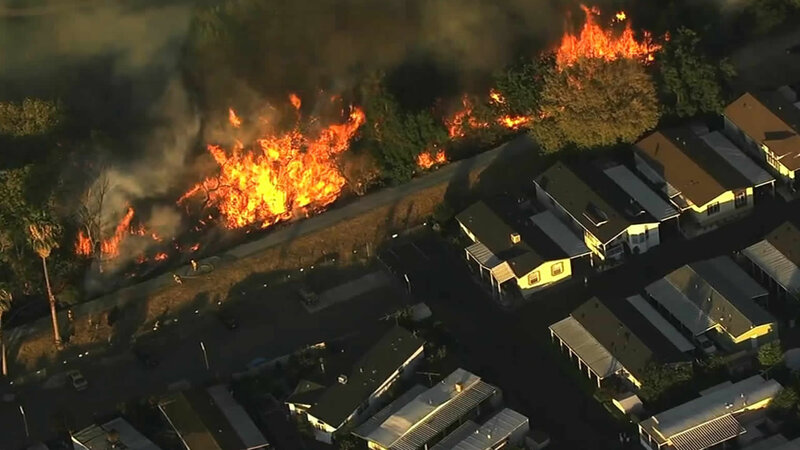 SAN JOSE, Calif. (KGO) -- San Jose fire investigators believe an eight-acre grass fire that came dangerously close to a mobile home park Wednesday night may have started at a homeless encampment. The flames broke out just before 7 p.m. at Oakland Road and B Street. 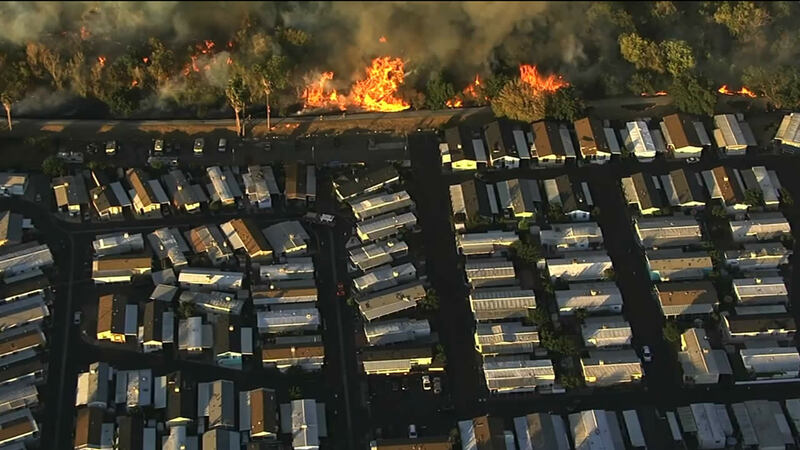 Crews are battling a fast-moving grass fire that sparked next to a mobile home park in San Jose on Wednesday night. The fire burned along a creek between the Riverbend Family Park and the San Jose Municipal Golf Course. No structures were damaged and no one was hurt.